FERC has approved Kinder Morgan’s request to modify the crossing method for the Orion 2 cultural site associated with the Orion Project in Pike County, Pennsylvania. According to FERC’s J. Keith Rodgers, the crossing would be modified from bore to open cut due to subsidence of soil directly above the bore path in multiple areas. Rodgers added that the company will restore the workspace to pre-construction conditions upon completion of work associated with the project. 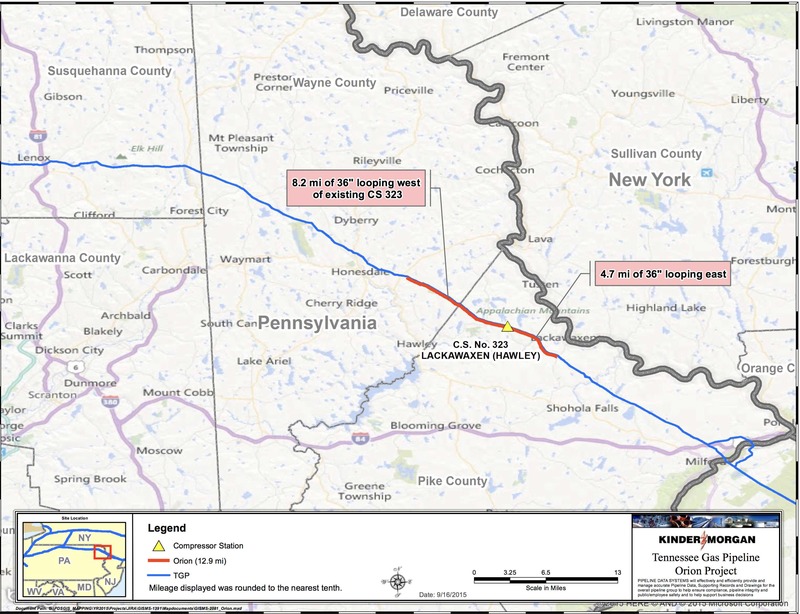 The Orion Project includes the construction of approximately 13 miles of pipeline looping in Pike and Wayne counties, Pennsylvania and minor modifications to one existing compressor station in Pike County, Pennsylvania. Once finished, the project will allow for the delivery of 135,000 dekatherms per day of additional firm natural gas capacity and is expected to be in service in June 2018.